On many occasions, an employee's performance will not meet an employer's expectations. As an alternative to immediate disciplinary action, an employer may elect to place an employee on a performance improvement plan (PIP). A PIP is helpful when a supervisor has noticed a specific area or areas of underperformance and sets specific goals for the employee to attain in order to improve performance. 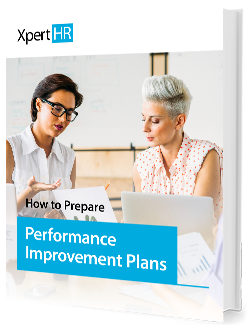 Download this whitepaper to understand how to implement an effective PIP and help your employees succeed.